The second episode of Bay Khudi was no less than a treat for the fans of Sara Khan, the previous episode begins with how Fiza realizes that she has feelings for Asher and would only want to spend the rest of her life with him. Unaware of Saad’s love for her, she instantly shares this news with him asking for his advice. Saad on the other hand is shocked to the core that the love of his life is slipping from his hands and he just can’t help it. It’s not Fiza’s fault that he never confessed his feelings for to her, she always considered him an older brother who she can always count on. Saad is devastated. For him hearing all of this is no less than plain torment, mental and physical. He always assumed how Fiza understands his feelings and he’ll never have to actually say it. Obviously the two grew up together, a childhood love is what he thought they had. Yet many more to come Stay tuned #bekhudi???????? #newpromo #lovelysong #shoot #us #arydigital #ssarakhan #noorhassan #happyus #team #work #actors #aabisraza @sanashahnawazofficial @inoorhassan @razaaabis #nailedit ?????????????????????????????????????????????????????????????????????? This entire situation really ticks him off and he drives off, Fiza forcefully joins him and then he lets her know how the love of his life is no more his and she loves another. Fiza is surprised how he never told the girl he loved her, little does she know – she is that girl. Saad then says that he won’t let her be anyone else’s if she can’t be his. Hearing that she get’s highly worried and tells him how love can’t be forced on anyone and he needs to move on. Furthermore, Asher wants to come over an officially get engaged to Fiza, she asks him to wait and let things cool down at her home. Saad who’s in dire straits only wants Fiza and no other girl in his life, but it’s sad how she doesn’t feel anything for him. Asher wants to get engaged as soon as possible as he doesn’t want to lose Fiza to any other man. Though the plot of Bay Khudi seems very simple, we predict some major twists and turns ahead that would keep the audience captivated. Do you think Fiza and Asher will get married? How will Saad recover from this heartbreak? This entire state is so complicated, what will Sara do? How is all this going to affect the relationship of Fiza and Saad? 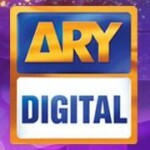 Watch the next episode of Bay Khudi only on ARY Digital on Thursdays at 9.00 pm. What Does The Future Hold For Tooba?